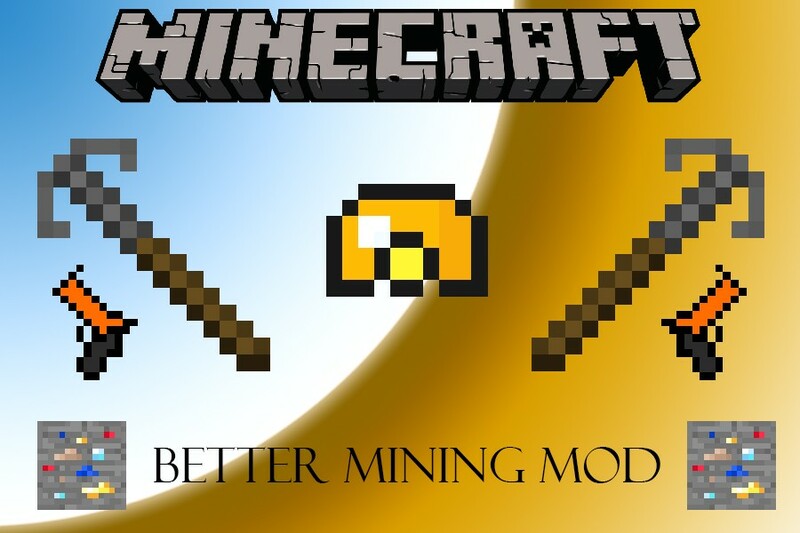 This is a new mod that implements many different tools and additions to mining. It was made to improve the mining experience! Enjoy! Craft Tools and Armor normally! Lucky Ores are an upgrade to vanilla ores. If you've seen my old mod, the Lucky Ores mod, then you'll know what these are. Basically, there is lucky coal ore, lucky iron ore, lucky gold ore, and lucky diamond ore, and when you find these lit up ores, they will drop a small random number of the material you would get. So if you mine lucky iron ore, you will get iron ingots. If you're in a hole and don't have blocks to nerd pole out, just have your grappling hook in your hotbar, and you can climb out like you had a ladder! pas Je arrive à telecharger: '( helpp! I want to use this mod so badly but i have to download minecraft pc. Does minecraft pc mess up your computer? I have an old coputer and it doesnt work that well. it is really laggy and im scared of messing up my laptop, have to buy another laptop and spend another 27 dollars. please let me know if it is safe to download pc and download mods. Lol, downloading Minecraft for PC is completely safe. There's no need to be afraid of spending another 27 dollars either because your account is held by Mojang, not by your computer. You can download Minecraft for PC any time you want to, as many times as you want to. Hey! First of all, love the mod. Second of all, could I have the specific item names/how you did your item names in your file? I'm also running VeinMiner, and I'd like to use the items that you've given in the mod with it, however I can't add it to the config if I don't know the specific "BetterMining:<pickaxe/axe/shovel/etc name here>"
Also, the ore item names would be useful! 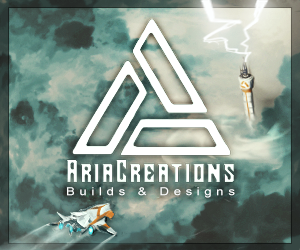 This mod was previously available for 1.7.2 so it's not a downgrade request. The old link appears to be gone. Download doesn't work for me. Any way I can get this with just the Ruby and Sapphire Ores, Tools and Armor? This mod is a littttle buggy. when i mine the chance, ruby, saphire, and mystical ore it just stays the ore and i can't smelt it. bug? am i doing it wrong? please respond. ill incorporate the smelting for ruby and sapphire ores, but the point of chance and mystical is to mine them, not smelt them. Mee too. Not drop ruby sapphire's jewel　and other ingot...lucky ores are ok. I tried to use only better minig mod(stopped using other mod),but couldn't drop. Yes! I could get jewels and drop from chance and Mystical ores.Thank you for your fix!! I cant download this mod (its not a bug ;D) but i fail to see why poeple like it so much, it SOUNDS just like another mod that adds more ore, but what are the main feature's? i might download it :. I'm not here to sell you, just here to show my hard work to the people who can enjoy it. Yeah, I know. Everyone likes a little variety. I've been adding more things to the mod though, like a miner's helmet which gives you night vision so you don't need torches when you're shafting, and also a flare gun, which right now only shoots snowballs, but I'm going to try to get it to shoot fireworks eventually, so that you can show your position to other players. I can't use Too Many Items to get the items, as Too Many Items crashes my computer. Can you help me? Can I get the source code for this??? Hello dude, i like this mod and i made a review. Im new in youtube. Hope you like it and enjoy it. The video is in spanish because im latin. Can you add the video in this post? will be great!! Does it work for 1.6.2? add lucky rainbow ingots to make OP armor and tools. that rarely drop from lucky ores (and) even more rarley, for chance ore (it should also drop less from chance) and you can do anything you want for it and mystical ores. Been having a problem with change ore. When they explode I get stuck then hurt and die. Blocks disappear then reapper when I tried to fill the space with another block. Might be a bug? Are you going to push another update? I'd really like to see that mining helmet. Hello, Could I use this in my modpack please? Yeah can i use this in my modpack? Can you make it so that emerald is slightly stronger than diamond because they are way more rare. you're actually right. haha. credits to you because I never even considered that. yeah, im sorry about this problem, but my file hosting service is having troubles with their servers right now. I'm sure they're trying their hardest to fix the problem, but until then you'll just need to hold on. Thanks. Can you give a link to a 1.6.4 download? Can I put this in my modpack? also can you update it for Minecraft 1.7.2 please????? is there RUBYS?!? I LOVE RUBYS!!!!!!!!!!!!!!!!!!!!! woah it says 100% complete really!!!! its not, i just put 100% on all my mods. keep an eye out for updates! This is a very good mod! Thx for making ﻿it. Wow! 7k downloads in a little more than 2 weeks! Good job!